5. Whilst it is acceptable on many courses for golfers to play without presenting a handicap certificate, this is not an excuse for clogging up the course and being slow. Do abide by the marshals’ gentle requests regarding the speed of play. Slow play at Bangkok Golf Club and Summit Green Valley Chiang Mai Golf Club could easily be avoided if these suggestions were adhered to. 6. Ladies, don’t be overwhelmed by the caddies, an almost exclusively female domain. Their natural grace and charming ‘mai pen rai’ light –heartedness will make you feel at ease and just as welcome as your male flight partners. Some lady golfers in Thailand that I know even have gone so far as to become friends with their caddies. 7. Do stop at the frequent ‘half-way refreshment houses’, usually found every three holes on Thailand golf courses to allow you to re-hydrate….and call through groups that are playing at a quicker pace. I let a Korean 3 some pass me last time I was at Alpine Chiang Mai, and I what a more peaceful rounds I had after that! 8. Don’t skip the post-game Thai massage or foot reflexology offered at many clubhouses. If you cant’ find one at the golf course try one of the many small Thai massage shops around your hotel or around downtown Hua Hin. 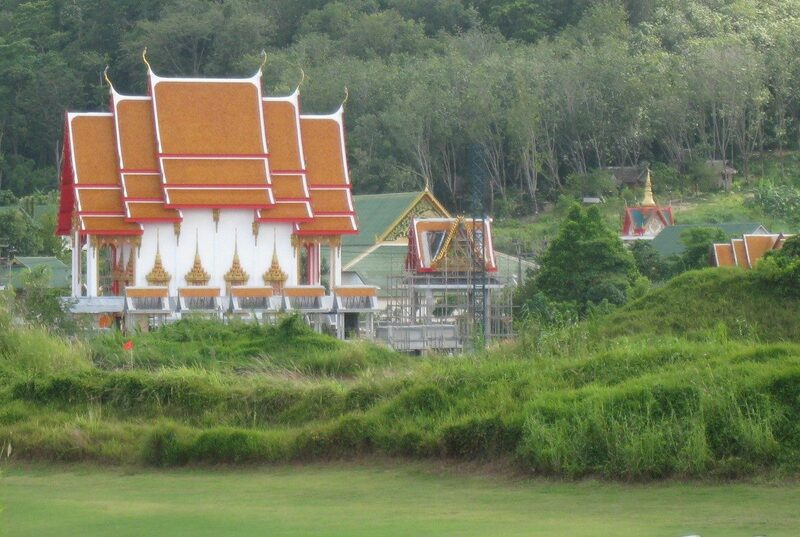 You will be glad you did and know why some equate Thailand golf to heaven-on-earth!